My boys decided over Christmas that sharing a room was much more fun than sleeping in separate bedrooms. Lucas started off in with Adam, who was still in the cot, but as Lucas' room is bigger we decided to move Adam into Lucas' room and also put him in a big boy bed at the same time. As you can see, it was a bit cramped with two beds in the smaller room! 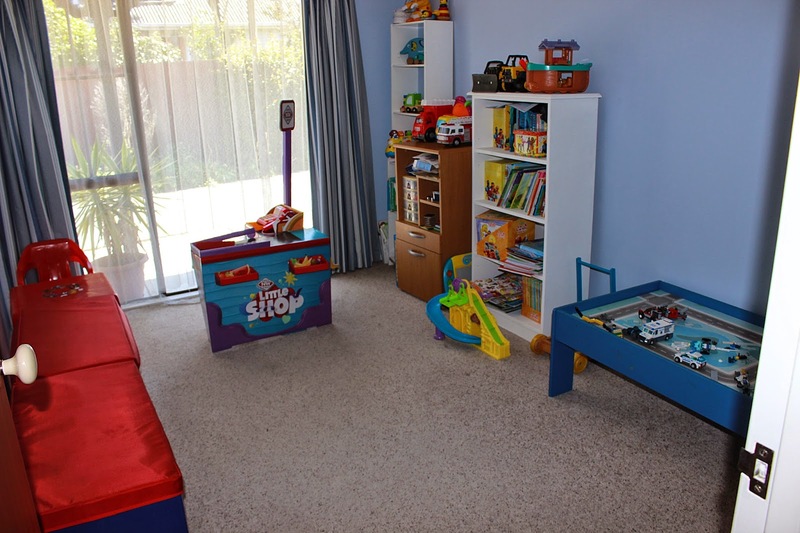 This left Adam's room free- I had originally planned to turn it into a craft room but then we decided that a playroom would be much more practical. 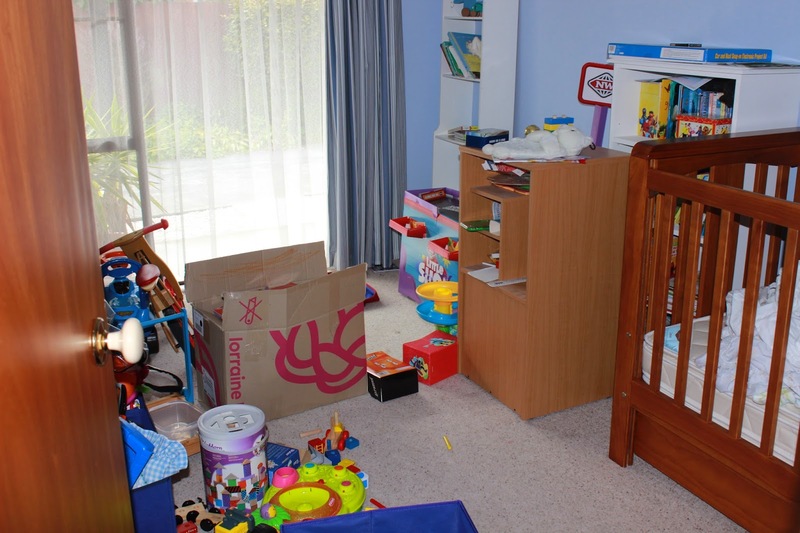 This is how the room looked once we had put all the toys in- very messy and unorganised, but I had a plan. I turned to Pinterest to get some ideas, using my Playroom Perfection board. Today I am sharing the first part of the process, which was really just a tidy up of the areas and putting all the toys in their place. 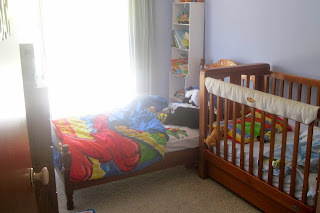 The first thing we did was take down the cot, which took up most of the space in the room. Adam loved getting a new big boy bed and sleeping in the same room as his brother! I used the toy storage along the left hand side of the wall, and the train table is now a Lego table. The brown drawers hold all of the craft supplies, and the Little Shop is at the end as the boys love to roleplay with this currently. Now my living room is not covered in toys, and the boys will happily spend an hour in the playroom before dinner so that I can get ready for the feeding and bedtime stage of the day. It also means that friends have been able to come and play without having toys strewn in three different places, and I can keep the bedroom for sleep only. Come back next Monday when I will be sharing the second part of the playroom makeover! That is a great idea, to turn a train table into a lego table! How sweet that they are sharing a room and loving it! St Patrick's Day Family Fun! Book Nook Roundup- our Favourites!